Marketing with SMS can save time. Print, television, and online campaigns all require significant artistic direction, as do radio spots (although the audio side looks a little different in implementation). And such direction translates into a significant time commitment. No matter how skilled, graphic artists and voice talent can’t turn around their output in a matter of minutes. But the 160-character limit of SMS translates into speed, speed, and more speed. Not only are such abbreviated messages relatively simple to compose, you can even automate your texts and set up an entire raft of marketing messages ahead of time. Out of sight, out of mind—and yet still drawing in customers! Marketing with SMS can save money. In the same way that traditional advertising requires more of a marketer’s time, it also draws down more of his budget. Ad campaigns are expensive and can easily head north of the five-digit mark, especially if you commit for the necessary length of time required to make them work. SMS, though, isn’t spendy. Individual texts cost a fraction of a penny, and with UltraSMSScript, you pay exactly what it costs for your message to reach its recipient and not a jot more. 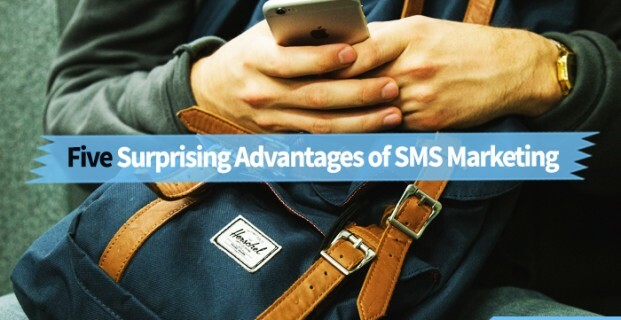 SMS increases immediate sales opportunities. Because approximately 90 percent of SMS messages get opened with five to 10 minutes of receipt, they offer an opportunity for immediate action. Flash sales, private-collection offers, and in-store promotions mesh naturally with an SMS outreach. Indeed, a timely text combined with the right competitive strategy can pull in immediate sales. SMS leverages an already engaged audience. When the government enacted the Telephone Consumer Protection Act in 2013 (which required that consumers opt in to receive text messages), I doubt that the FCC foresaw that it was handing marketers a major boon. Yes, the restrictions safeguard consumers, but because recipients pre-screen themselves, they’re already engaged with whatever value proposition you’re offering. So start leveraging them! SMS marketing is truly a multifaceted endeavor, a form of engagement with all sorts of sides. Study them. Learn how they function. Then incorporate them into your work. You just might be surprised by how they inform your endeavors!